Back for 2019, the Tuesday Evening Ladies League! This Fun, Friendly, Non-Competitive Social Golf Night, is meant for ladies of all skill levels, who want to learn and play the game with like-minded individuals wishing to enjoy golf in a stress-free environment. Membership in the League is $366.00 + HST and entitles players to utilize the golf course, clubhouse, dining and practice facilities. Tuesday Evening Ladies League green fees are $35.00 + HST for 9-holes and are only charged on the nights you attend. You may join and play as a group or an individual. Our goal is to introduce you to players seeking the same golf experience as you are! League play nights are listed below. Start time will be 6:00 pm each Tuesday listed and will be preceded at 5:30 pm by a golf educational clinic hosted by one of our PGA of Canada Professionals. Tee times will be in a shotgun format so that the entire group finishes at the same time in order to take advantage of the post-golf social atmosphere together. 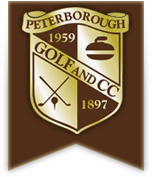 We look forward to you becoming a Member of Peterborough Golf and Country Club. Please join us for our League Information Night on April 23rd beginning at 6:00 pm. Feel free to contact the Club at any time with any questions you may have, by phone 705-760-9665. Limited Membership Availability. Please click on the link below for our Tuesday Evening Ladies League registration form. This is a fillable form that you can complete online and submit to us.